The Dublin government this afternoon apologised for “failures” by the State in dealing with clerical child abuse and said the “deference” shown to the church in this regard had been “misplaced”. The apology came after the Commission of Investigation into Dublin’s Catholic Archdiocese concluded that there is “no doubt” that clerical child sexual abuse was covered up by the archdiocese, the Church authorities and the 26-County state. While not accusing the Dublin government of knowingly participating in the cover-up, it indicated the authorities, through the police, had afforded the church “institutional immunity”. The commission’s report covers the period between January 1st 1975 and April 30th 2004. It said the cover-ups took place over much of this period and were assisted by “the structures and rules of the Catholic Church”. It says the phrase “don’t ask, don’t tell” was appropriate to describe the attitude of the Dublin Archdiocese to the widespread and routine abuse, whose victims numbered in the hundreds. In regard to the response to the abuse by the church hierarchy, particularly the Archbishops of Dublin, it said that “the welfare of children, which should have been the first priority, was not even a factor to be considered in the early stages. “Instead the focus was on the avoidance of scandal and the preservation of the good name, status and assets of the institution and of what the institution regarded as its most important members - the priests,” it said. 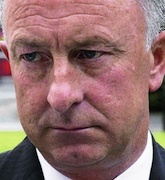 The Dublin Archdiocese Commission of Investigation was set up on March 28th, 2006. It completed its report on July 21st last when it was presented to the Minister for Justice Dermot Ahern. The report was finally cleared for publication last Thursday. The commission investigated allegations made against a sample of 46 priests, out of a total of 102 relevant to the period, and against whom 320 complaints had been made. It was strongly critical of the four individual Archbishops of Dublin: John Charles McQuaid, Dermot Ryan, Kevin McNamara and Cardinal Desmond Connell. The commission found that “there were a number of inappropriate contacts between the gardai and the Archdiocese.” It cited the example of Garda police Commissioner Costigan who handed over one particularly serious case of abuse to Archbishop McQuaid for investigation in 1960. This was “totally inappropriate”, it said. The commission’s report was described as “shocking” by the Dublin government in an unsigned statement this afternoon. It said that there had been “a systemic, calculated perversion of power and trust was visited on helpless and innocent children in the Archdiocese” over a 30-year period. “It will be a matter of profound regret to Irish people that the deference which so many people traditionally showed to their Church was, insofar as the area of child abuse was concerned, entirely misplaced and had the effect of further abusing the victims. Garda Commissioner Fachtna Murphy has apologised for his force’s failure to protect victims of clerical abuse. “The commission has found that in some cases, because of acts or omissions, individuals who sought assistance did not always receive the level of response or protection which any citizen in trouble is entitled to expect from An Garda Siochana. I am deeply sorry that this occurred,” he said.